We’ve all complained about incorrect credits listed on All Music at one time or another. Pretty soon, you can do something about it. A tool will be available shortly that will aid in capturing credits and other production specific information. On August 17th, 2010, the P&E Wing of the Recording Academy presented the Content Creator Data (CCD), the new recording metadata standard, and accompanying software application called the CCD Collection Tool at their New York office. After several years, the folks at BMS/Chace, in conjunction with The Library of Congress’ National Digital Information Infrastructure & Preservation Program, came up with an open schema (a standardized data structure for informational exchange) that defines recording session specific metatags. Since the late ‘90s, schemas have been developed for a multitude of industries and uses, including electronic business transactions, retail industry, human resources, financial information, geographic applications, customer information, elections, emergency data, office documents, content syndication (e.g. RSS) and many others. The music industry joined in on the effort in 2006 by forming an organization called DDEX (Digital Data Exchange), which is developing standards for new release notification, digital sales reporting, licensing and other related items. CCD was developed to make sure it is compatible with existing standards by DDEX, SMPTE, AES and other relevant standards organizations. The CCD Collection Tool is a free, cross platform utility that will soon be available. 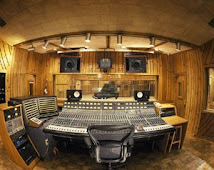 Through its user-friendly interface, anyone can input album / project and song specific information in the form of metadata that includes names of performers & recording personnel, the type of gear or instrument used, the recording media and settings used, and other details about sessions to help in documentation, master delivery and archiving. The output of the utility is a XML file. In order for the standard and tool to be truly useful, there are a few conditions that have to be met. As some philosopher (actually an IBM technician / instructor) famously said, “Garbage In, Garbage Out.” The critical stage in the process is at the point of data entry where the validity and accuracy of the data is determined. The theory goes that data should be entered where it is generated. Presumably, that is why this tool was developed and why people are being encouraged to use it in the studio. It was suggested at the meeting that assistants in recording sessions could enter this data. This is certainly possible, but assistants are already taking care of a lot of things during the session. Trying to get names correct and standardized (e.g. Jim, James, Jamie, Jimmy, Jimmie, ...) is a very big challenge. One solution that is being suggested is to have each person register and use a 16-digit ID number called the ISNI (International Standard Name Identifier) that will become available in the spring of 2011. It is a universal ID for a public identity. More and more recording or mix sessions are being conducted in multiple locations by multiple parties – in some cases, concurrently. How data generated in multiple instances is collected and combined will be critical in making sure the data is complete. From what we have seen in practice, there is already a lack of organization and documentation of session data. Adding metatags to the list will be a challenge, especially in smaller productions where very few people are doing pretty much everything. Only discipline and diligence by those involved will ensure that the data is complete. Once the data is collected or while it is being collected, there has to be a safeguard to prevent data from being altered or deleted intentionally or inadvertently. Different levels of access and authorizations might have to be implemented at some point. The developers talked about implementing a simple security scheme by allowing people to enter data, but not change it. A better mechanism might be to track any and all changes, much like tracking changes in a document, to be sorted later on. The other issue is privacy or the need to know. I don’t think it is any business of studio personnel to know what the writer splits are for a particular song. In the end, all the data will have to be deposited in a centralized location somewhere and reviewed. Who will oversee and ensure that the data was accurately and completely been entered? The logical answer is that it should be the one who owns the “assets”, which is the record label and/or the artist. On a more practical level, it will have to be the person who has the most complete view of the project, whether that person is the producer, the designated project manager or the artist. What do you actually do with the data? That will have to be worked out as this tool get wider use. Ultimately, this metadata file will become a component of the masters to be kept as part of the project archives. A key factor in adopting this standard is whether manufacturers will support it by embedding the metatagging capability into existing tools such as Avid’s Pro tools. This would certainly be more convenient and conducive to compliance. The manufacturers will have to be convinced that this is a good idea. A good thing about this open schema is that for those who like to have fun with data, the schema is extensible since it is XML, which means you could expand the data set to include other items you feel is relevant to what you do and develop applications around those data sets. Unforeseen, supplemental tools may emerge to address other needs that currently exist in tracking production data. I’ve outlined a few issues that I’m sure will get addressed over time. 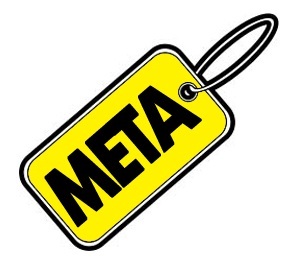 In the final analysis, the use of metatags is 1) something that was probably long overdue; 2) still in the early stages and is expected to evolve; and 3) is a good idea in principle, is the right thing to do and will need a lot of support from you to really become useful.